Between read-it-later services, social media feeds and the unbelievable speed at which a Google search can find the exact information you’re looking for, browser bookmarks have become a forgotten a relic of a previous Internet age. But the basic bookmarking tools built into your browser can still be hugely useful in the modern web era, and we’re going to explain exactly how to make the most of them. We’ll cover all the options you’ve got for Chrome, Firefox, Safari and Edge here, though you can apply plenty of the same principles to other browsers too. One of the benefits of using bookmarks is they’re infinitely flexible – you can use them to keep track of whatever you like, however you like. Browser bookmarks are almost too useful – so much so that many of us find our bookmark folders bulging with the weight of dozens or even hundreds of starred URLs that aren’t in any particular kind of order. To make the most of bookmarks, you need to make sure they’re well organised. Bookmarks, rather obviously, help you keep track of stuff on the web: the apps you use most often, the sites you need to load up regularly, the articles you want to save for posterity and so on. You can store up stuff for the future or stuff from the past. Start typing in a URL in the address bar of your browser and, amongst matches from your recently viewed pages, you’ll also see matches from your bookmarks at the top of the list that drops down underneath – anything you bookmark is easier to get back to later. Then there’s bookmark syncing, now a feature of every modern browser. You can get at bookmarked pages from multiple computers, multiple platforms and multiple devices, including your smartphone, as long as you’re signed in to the right account. They can go everywhere with you, no extra effort required. Importing and exporting is (usually) easy too, with a generally agreed upon standard that lets you move bookmarks between browsers and between apps. If you decide to switch browsers, then you can bring your bookmarks along with the minimum of fuss. 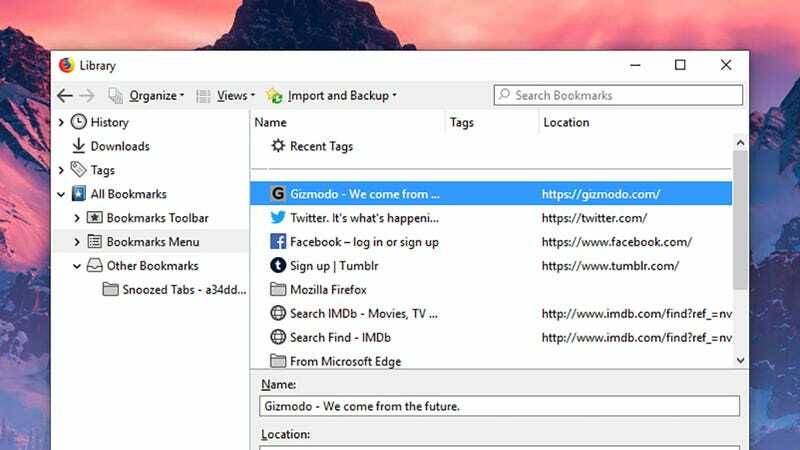 The big-name browsers have tools for keeping your bookmarks tidy. Create a new bookmark in Chrome by clicking the star icon to the right of the address bar, and you can assign the new bookmark to a folder straight away. Get at your bookmarks by opening up the Chrome menu then choosing Bookmarks and Bookmark Manager (or hit Ctrl+Shift+O on Windows or Option+Cmd+B on a Mac). Use the box at the top to search your bookmarks, and the menu button to the top right to add new bookmarks, add bookmark folders (very useful for organising), and import and export bookmarks. Each bookmark has a menu button to the right, which you can use to edit and delete bookmarks. You can also click and drag them around in the list to change their order or to put bookmarks in folders. The Bookmarks menu also lets you show or hide Chrome’s bookmarks bar, a useful dock that sits just below the address bar. URLs can be dragged down here if needed (via the icon to the left of the URL itself) as well as added in the normal way. It means your most important bookmarks are always easy to access. If you’re a Firefox fan, use the star in the address bar to set a bookmark and put it in a folder, if needed. 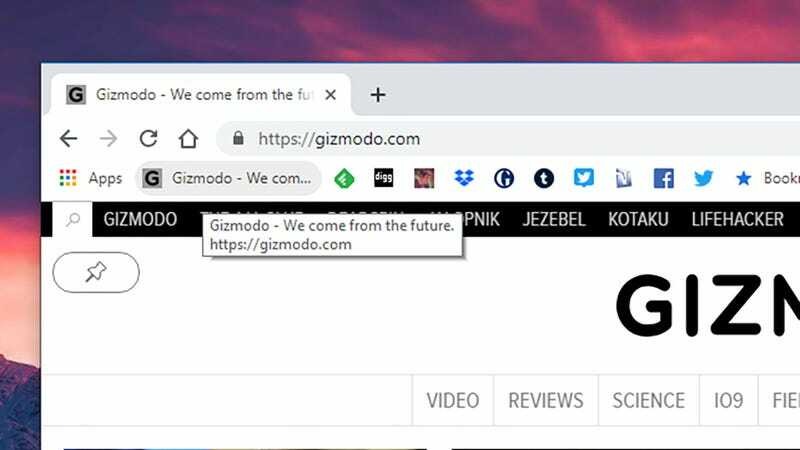 You can find your bookmarks in Mozilla’s browser in numerous ways: the Library option on the Firefox menu or toolbar lets you show or hide the bookmarks bar (under the address box) and the bookmarks sidebar. You can also view your bookmark manager from the same Library and Bookmarks menu, or by hitting Ctrl+Shift+B (Cmd+Shift+B on macOS). The pop-out bookmark manager window gives you the most control. You can rename bookmarks, put them in different folders, or remove them altogether. Firefox also lets you add tags to bookmarks, making it easier to find them again later – you’ll see the Search Bookmarks option to the top right. Use the options at the top of the dialog to import or export bookmarks, and to change how bookmarks are organised on screen: as well as ordering them based on name, you can list them by the tags they’ve been assigned or in the order they were last opened (handy for finding bookmarks that you’ve been neglecting or no longer need). 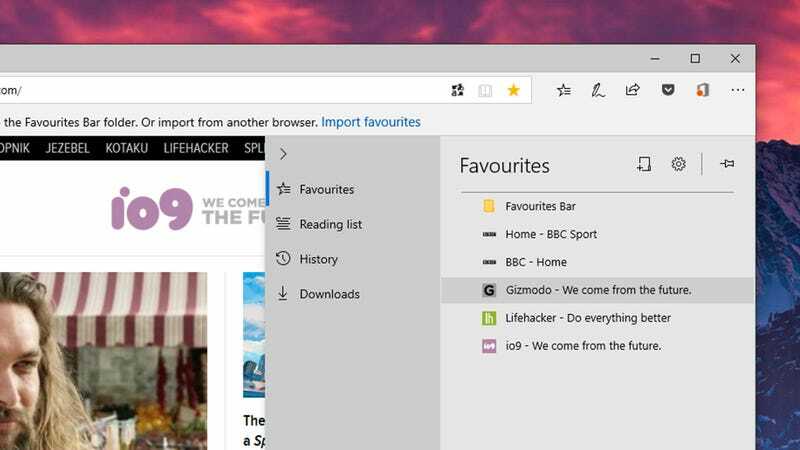 In Microsoft Edge, bookmarks are called favourites, and you can set a new favourite by clicking on the star icon to the right of any URL up at the top of the browser. You’ll also see a Favourites icon on the toolbar – click on this to see all of the bookmarks you’ve got. Here bookmarks appear in a side pane rather than a separate tab, and you can click on the pin icon (in the top right-hand corner) if you want to keep the pane open permanently. The other icons at the top let you create new folders for your bookmarks, or (via the settings pane) import or export bookmarks. That settings pane also has an option to Show the favourites bar. As in Chrome and Firefox, this is a place to put your most important bookmarks, the ones that you’re going to be clicking on every day – favourites can be put here as soon as you create them, or dragged across from the Favourites panel at the side of the Edge interface. 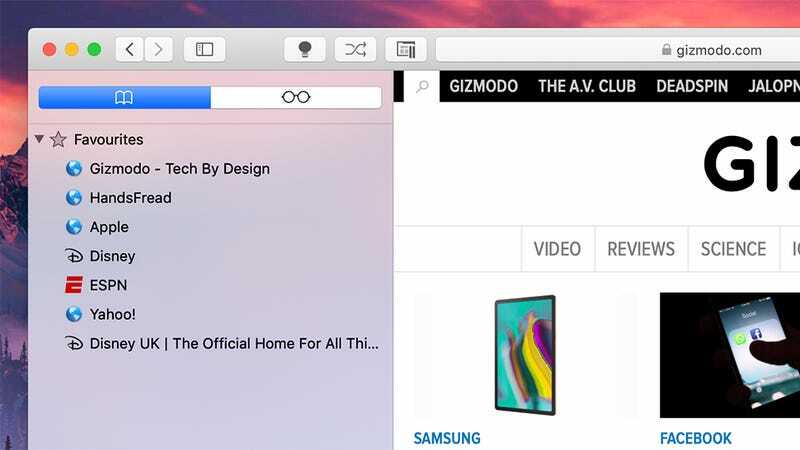 Open up Safari on macOS and you’ve got an entire Bookmarks menu to play around with – open Bookmarks then Show Bookmarks to bring up the bookmarks pane on the left, or click the Show sidebar icon on the toolbar. Click and drag to move the bookmarks into a different order. To create a bookmark just drag a URL into the sidebar, either from the address box at the top of the browser or by dragging a link right from a webpage you’ve got open. To add the page you’re currently viewing to your Safari bookmarks, click the Share button on the toolbar, then pick Add Bookmark. Cmd+click inside the sidebar to edit a bookmark, or to add a new bookmark folder to the list. For a more detailed look at bookmarks stored in Safari, open the Bookmarks menu and choose Edit Bookmarks (or press Option+Cmd+B). The window that appears lets you search your bookmarks, create bookmark folders, move bookmarks around, and edit bookmark titles and URLs. You don’t have to overcomplicate matters when it comes to bookmarks, and many of you will probably get along just fine with the default bookmark management options that come with your browser. If you need more help or extra features, however, then they’re not difficult to find. For Chrome, at the most basic level, something like Recent Bookmarks will sort your bookmarks by the date they were added, which might suit the way you work better than the default. Sprucemarks is no longer actively developed besides bug fixes, but it does a neat job of sorting your folders and bookmarks by date or URL, as well as by name. 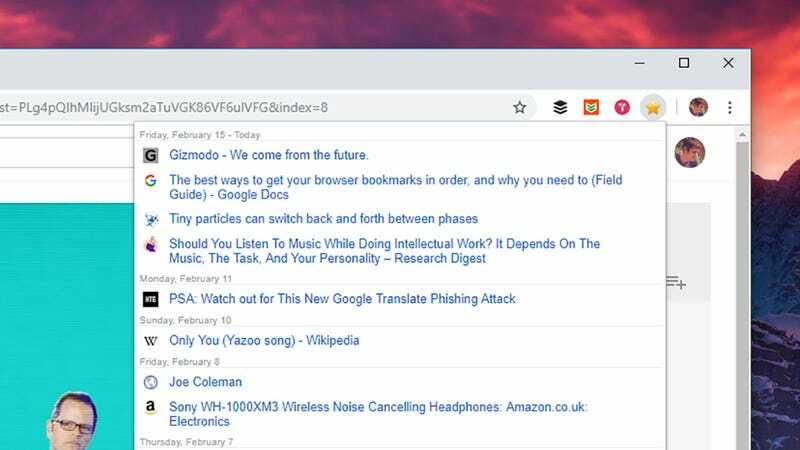 Quite a few new tab replacements will incorporate your bookmarks in some way or other – Atavi is one of the best we’ve come across, adding quick access options to the toolbar and presenting your saved sites with a visual flourish. As a bonus, it can work across multiple browsers too. For Firefox, Default Bookmark Folder does one job – sets where to save bookmarks by default – but does it well, while Pearltrees takes bookmarking one step further with a visual interface for saving websites as well as files, photos and notes in your browser. For seeing a ton of bookmarks on screen at once, try Group Speed Dial. When it comes to boosting bookmark functionality, your add-on and extension choices are more limited in Microsoft Edge and Safari. One tool we’ve discovered that we like is EdgeManage: it adds a load of functionality that Edge doesn’t have yet, giving you a graphical tree of your saved sites, letting you manipulate them in batches, and more. Then there are the apps that try and replace bookmarks altogether. 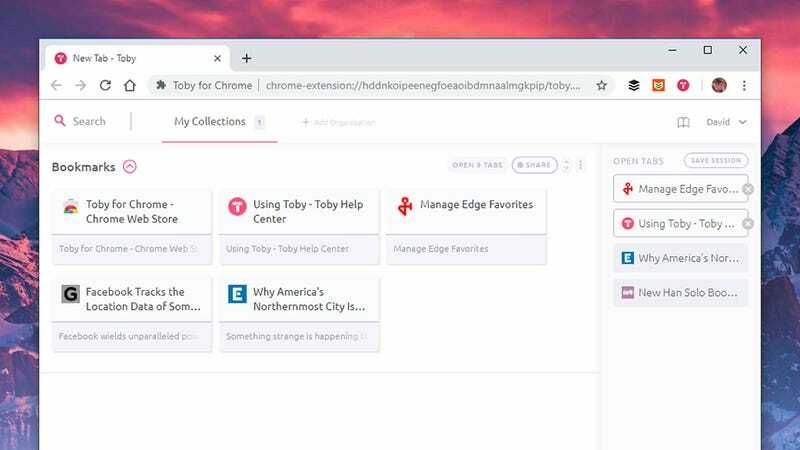 You’ve probably familiar with the likes of Pocket and Instapaper, but Toby is an interesting new spin on bookmarks: it replaces the new tab page in Chrome or Firefox, then lets you drag open tabs into 'collections' (for work, leisure, research or whatever). 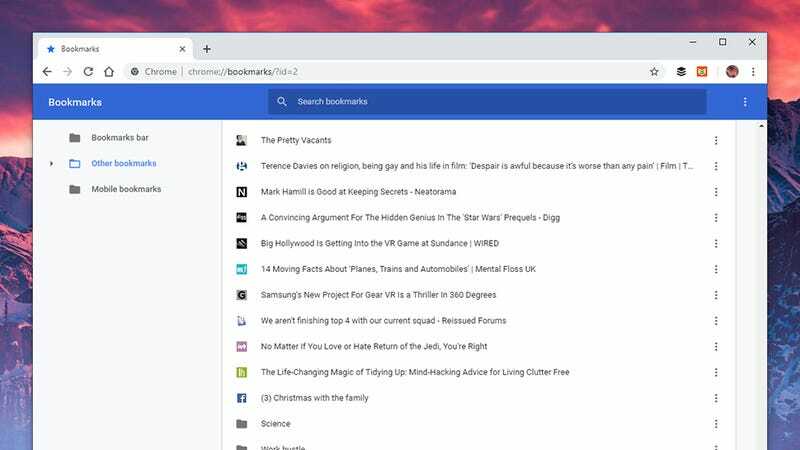 Booky.io, meanwhile, keeps your bookmarks in the cloud: you’ll have to get used to it instead of using your browser (a Chrome extension is available), but it puts your bookmarks in a very nicely arranged interface that you can get at from any device.